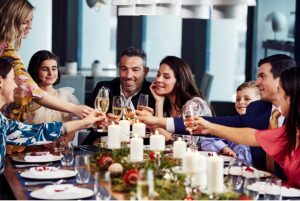 Celebrate this festive season at our award-winning restaurant, Collins Kitchen, and enjoy a luxurious affair of impressive cuisine and vibrant surrounds. Open for lunch and dinner from Friday 30th November – Friday 21st December. Reserve your table here to enjoy this truly indulgent buffet experience.